Mammography is the best test to detect early breast cancer and is the only test proven to reduce the death rate of breast cancer. When detected early, the “cure rate” of breast cancer is greater than 90 percent. Digital mammography, including 3D mammography, is the gold standard in the detection of breast cancer. With digital mammography, the radiologist reviews electronic images of the breast using special high-resolution monitors. The physician can adjust the brightness, change contrast and zoom in for close-ups of specific areas of interest. Because they are electronic, digital mammography images can be transmitted quickly across a network. These images can also be easily stored or copied without any loss of information, and transmitted and received in a faster manner, eliminating dependence on only one set of “original” films. 3D mammography provides our radiologists with a three-dimensional view of your breast tissue, which helps them identify and characterize individual breast structures without the confusion of overlapping tissue. This technology allows for a higher rate of cancer detection and gives radiologists a more confident set of results. 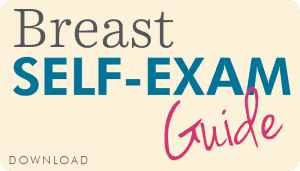 The following screening guidelines are for women with an average risk for breast cancer. *If you have an increased risk for breast cancer, your doctor may recommend earlier or more frequent screenings. Monday - Friday: 7 - 5.